The cache is NOT located at the above coordinates. Please respect the church, and grounds when gathering the numbers. There was a church in this parish as early as the 13th century and it stood on the same site as the present church. 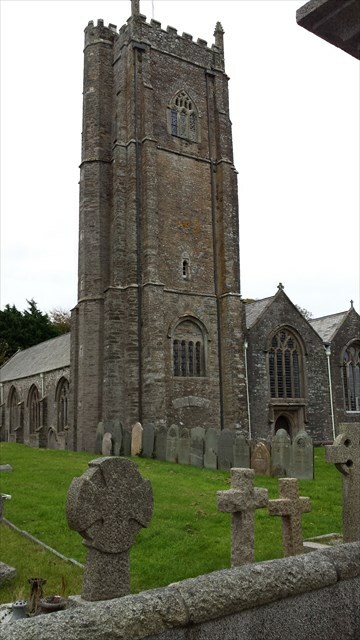 It is believed to have been consecrated in 1259. The earliest reference to the benefice is in 1278, and in 1288 the church was most highly rated in the deanery. Starting at the Lynchgate follow the path round the back of the building keeping the church on your right hand side. You will come across a plaque on the wall of the church for Joan Tingcombe who died 2Ath October 1ABB aged 58. The final location is not too far away and can be walked to with ease. Stealth is required and please ensure that the cache is rehidden carefully.